The role of umbilical cord is not just to give life to your growing baby but also to potentially save him from fatal illnesses in the future. From the moment you conceive your little bub till he is delivered, the role of the umbilical cord is undeniably crucial. This 50cm knobbly tissue is a precious resource that has immense regenerative and healing potential. It links you to your baby. But it is also a rich source of stem cells – almost 10 times more than adult bone marrow. In fact, when properly stored and screened, the umbilical cord can also save those suffering from life-threatening conditions. These include several forms of leukemia, lymphoma and bone marrow disorders. Role of umbilical cord and how it is created? When the egg is fertilised it forms two components. One part becomes an embryo that forms into the feotus. The other becomes the placenta. As the foetus grows, the two get connected with an umbilical cord. As you enter the fifth week of your pregnancy the umbilical cord begins to take shape. 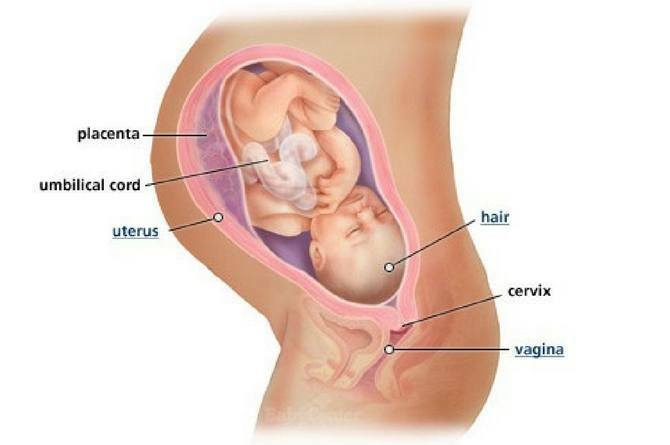 On one side it is connected to the embryo’s abdomen, on the other end, to your gestational sac (placenta). In fact, the role of umbilical cord is also to help with the formation of the placenta, which is connected to the uterine wall. It allows the transfer of oxygen, food and nutrients. And it provides for the removal of waste and deoxygenated blood. The umbilical cord also ensures that blood does not mix and keeps the baby alive and growing. It also produces hCG (human chorionic gonadotropin). This is a hormone that establishes a healthy pregnancy. When your baby is born, the umbilical cord is cut close to his body and the dry stump falls off on its own a few days later. What is the structure of the umbilical cord? Usually, this flexible tube-like structure can grow up to 50-60 cms. It has a tough muscular structure with two main layers. The outer layer is smooth and the inner layer contains a gelatinous fluid called Wharton’s jelly. There are three main vessels within the cord: two arteries and a vein. The vein carries pure blood and oxygen to the embryo. The two large arteries carry the deoxygenated blood away from the foetus. Now as the umbilical cord enters the embryo through the abdomen it branches into two. One branch joins the hepatic portal vein in the liver and the other connects to the inferior vena cava in the heart. These form a circuit between the growing embryo and the mother’s placenta. In rare cases, the umbilical cord doesn’t form inside the embryo properly. It can tie around the baby’s neck, arms or legs during pregnancy or labour. For twins it can be even more dangerous because they share an amniotic sac. But an ultrasound can detect any issue with the umbilical cord. With it, doctors can check the functioning of the umbilical cord in the growth of the foetus. Let’s take a look at these issues in depth. What are the potential problems of the umbilical cord? Although this condition is rare, sometimes an artery can be missing from the umbilical cord. This can cause the deoxygenated and nutrient-depleted blood and waste to not leave the embryo properly. While experts haven’t zeroed in on the actual cause of this problem, it can cause many health issues. These include birth defects, heart problems, and even chromosomal problems. Issues with the nervous system, and the urinary tract are also possible. But you do not have to worry because an ultrasound can detect single umbilical artery. And your doctor can explain a possible solution as well. During labour, when the baby passes through the birth canal, sometimes the umbilical cord might prolapse. This means it can either slip into the canal or get compressed by the baby during childbirth. This can potentially harm the baby’s blood supply or completely cut it off. It can also become life-threatening if the baby is not delivered immediately. In rare cases, cysts can develop inside the umbilical cord. This condition can only be detected by an ultrasound. When this happens, the cyst can cause abnormalities in the child’s chromosomes, kidneys and even abdomen. This is perhaps one of the most common problems during pregnancy and delivery. The cord wraps around the baby’s neck, arms or legs. However, most doctors are able to manipulate the cord from outside, or they may unwrap or cut it at the time of delivery. In very rare cases, the umbilical cord gets tied in knots. This can be life-threatening because it cuts off blood supply, oxygen and food to the baby. In some other rare cases, the blood vessels within the cord might shift. They might come out of the protection of the umbilical cord and slide down under the baby. This can cause tears in the vessels and lead to fatal bleeding. If a pregnant woman starts bleeding during her second or third trimester, it could be because of vasa previa. She must get immediate medical attention in such a scenario. Most of these health issues are rare. And chances are your ultrasound will be completely clear. So once you have the go-ahead from your doctor, you can discuss what you want to do with the umbilical cord and cord blood. What is the role of the umbilical cord blood? As mentioned before, cord blood is the blood that flows from the mother to the baby in the womb through the umbilical cord. It is very rich in stem cells and has the potential to grow into different cells, tissues, and organs. It also has the power to save the baby, as well as his family members, from potentially life-threatening illnesses. Ideally, cord blood is extracted, screened, and stored by doctors at the time of childbirth. “It is like the normal procedure of drawing blood from the body through a syringe, except that normal human blood is drawn from the vein, either for a test or for transfusion. In this case, it is drawn from the baby’s umbilical cord just after birth and stored in a cord blood bank for use later to cure haematological or immunological disorders,” explains Dr Rahul Naithani, Senior Consultant and Head, Haematology & Bone Marrow Transplantation, Max Super Speciality Hospital, Delhi. Once the blood is drawn it is stored for future use. What is the role of umbilical cord blood storage? The umbilical cord blood is used for stem cell regeneration. It is also important for bone marrow transplant or cord blood transplant. Here, cord blood transplant or bone marrow transplant is only for hematopoietic stem cell transplant (blood-forming stem cells). He adds that this is because cord blood cells are naïve cells. “They are less likely to hurt (i.e. be rejected by the recipient’s body) the patient because they have not been trained to hurt. So with cord blood, even if we don’t have a full match, we can still use it for transplant unlike in bone marrow transplant where a full match is necessary,” adds Dr Naithani. Although you must know that cord blood banking can be a bit pricey. It can range anywhere between $1,500 to $1,900. It may cost more if enrollment fee and taxes are added. But if you feel that cord blood banking could potentially help your baby in the future, then this is clearly an option you should explore. Meanwhile, there are some creative parents who choose to preserve the umbilical cord as art. Yes, that’s correct. The US reality star Kim Kardashian famously got placenta pills made. UK-based singer Rochelle Humes also did the same. 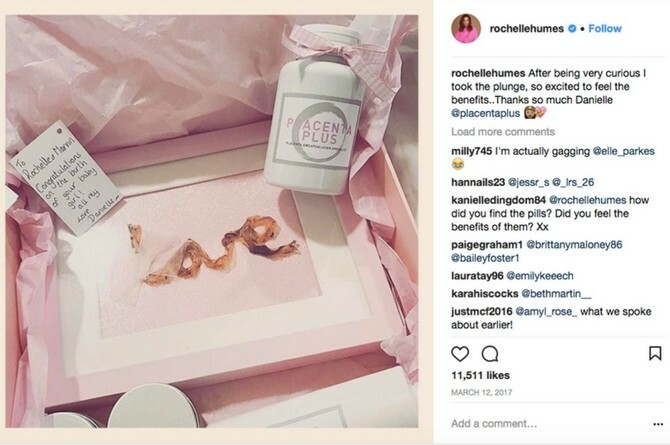 She marked the birth of her daughter by getting placenta pills made and preserving her umbilical cord as a piece of art. Some parents also prefer to preserve the stump that dries and falls off the baby within 15 days. Other mums prefer to wear the cord as a piece of jewellery. Still others prefer to burn the umbilical cord. This is often done for traditional reasons. Whatever your choice, the fact is that the role of the umbilical cord is not limited to when it’s inside the mother. What you do with the umbilical cord is completely your choice. If you want to preserve it, you can opt for cord blood banking, or you can turn it into a piece of art. Or transform it into a keepsake. The choice is yours.